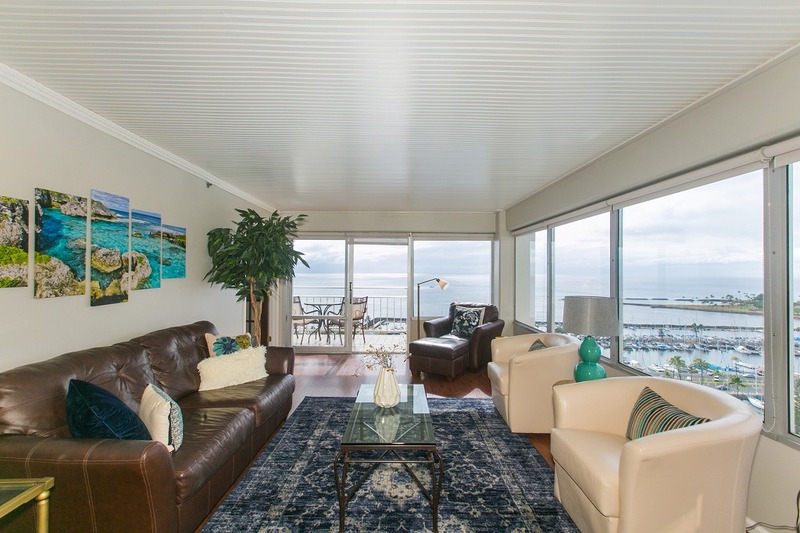 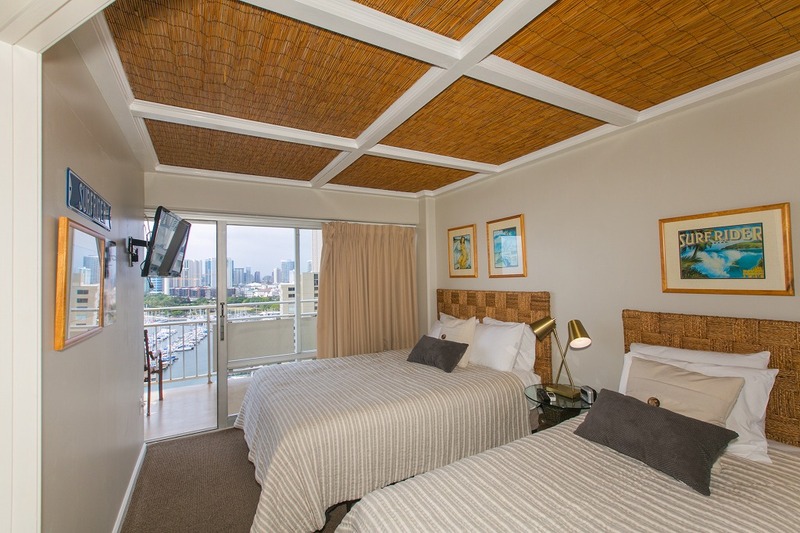 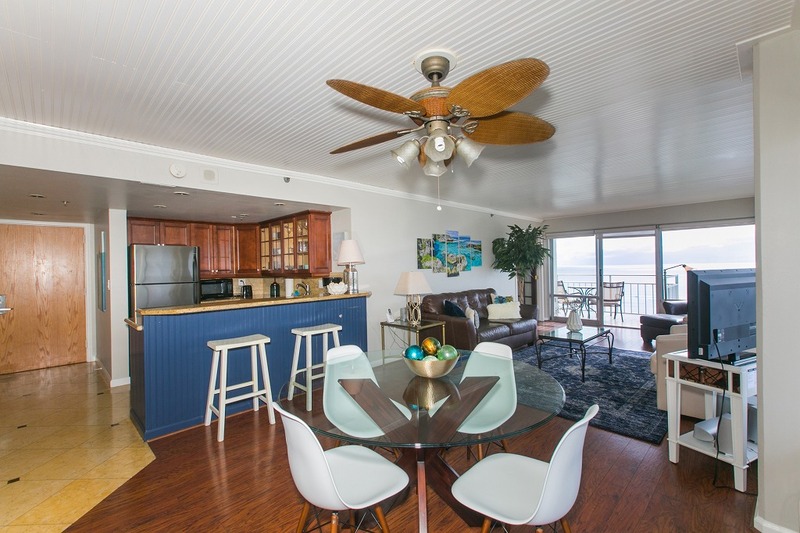 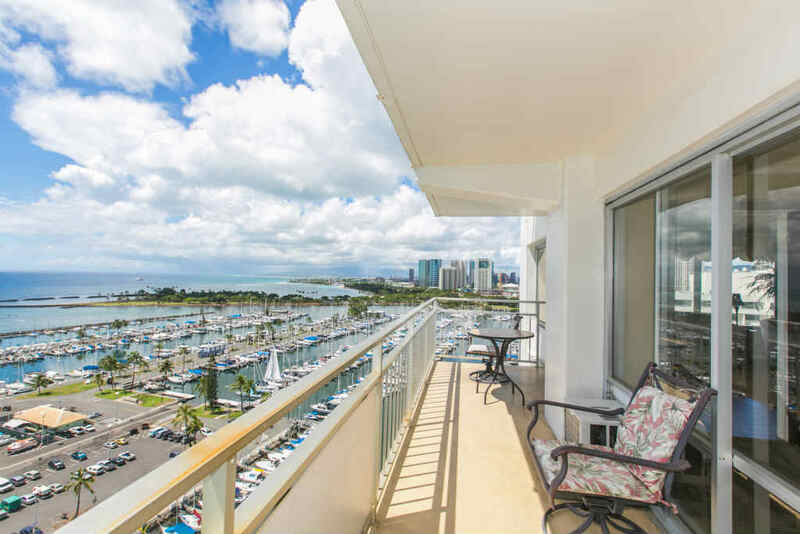 2 Bedroom Deluxe Yard Harbor View on the 18th Floor! 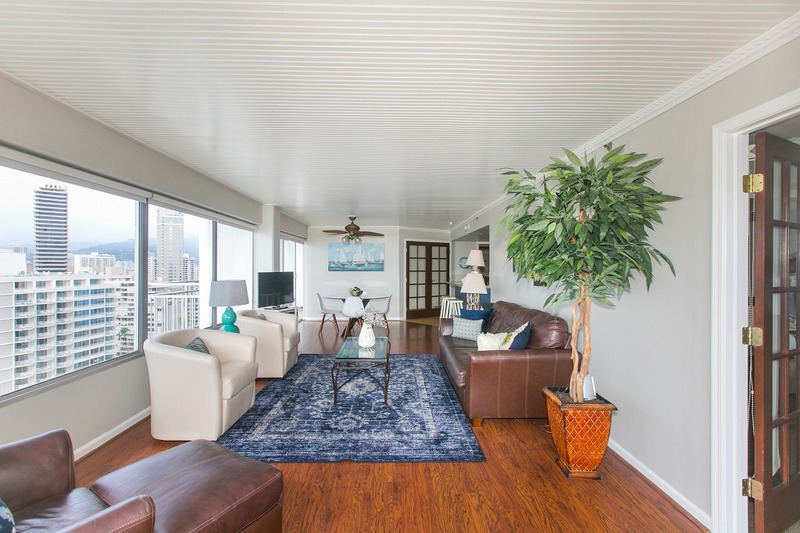 This beautiful condo was just updated, with new furniture, bedding and paintings! 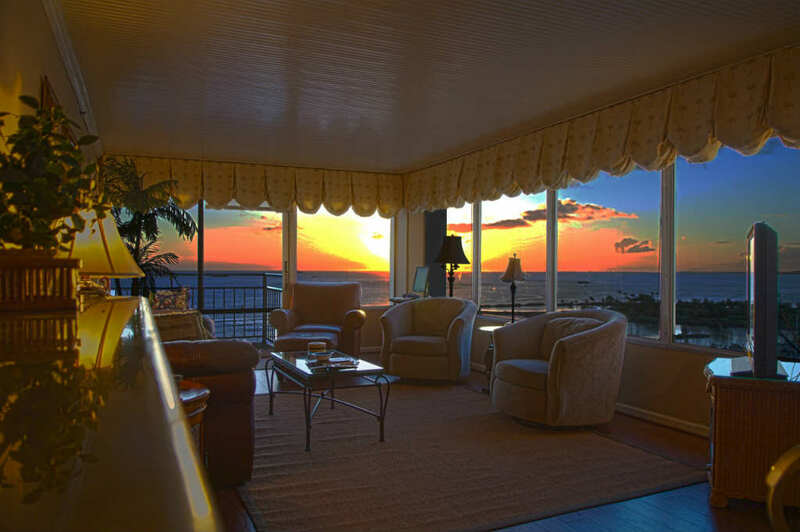 Comfortable lanai furnishing to enjoy the incredible ocean views off both lanai, whether you want to sun bathe or enjoy a sunset dinner! 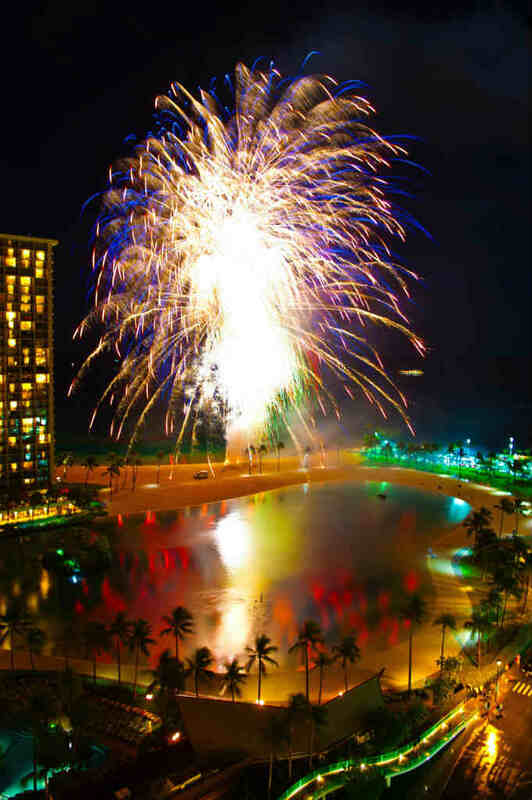 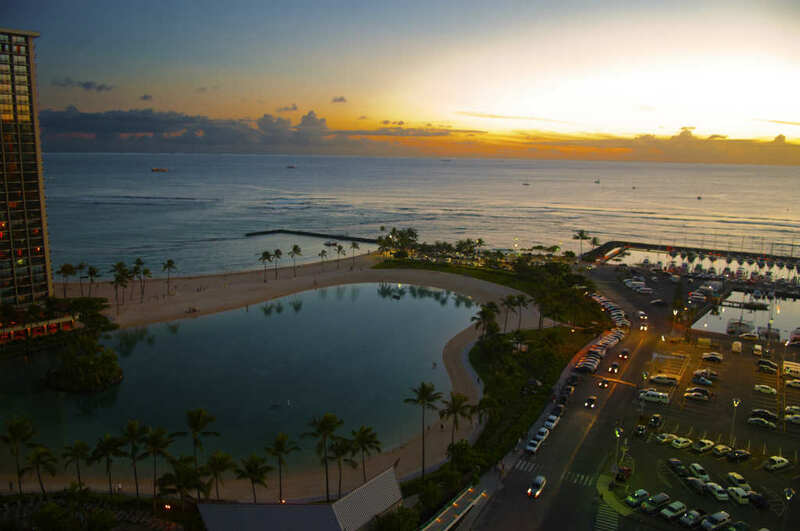 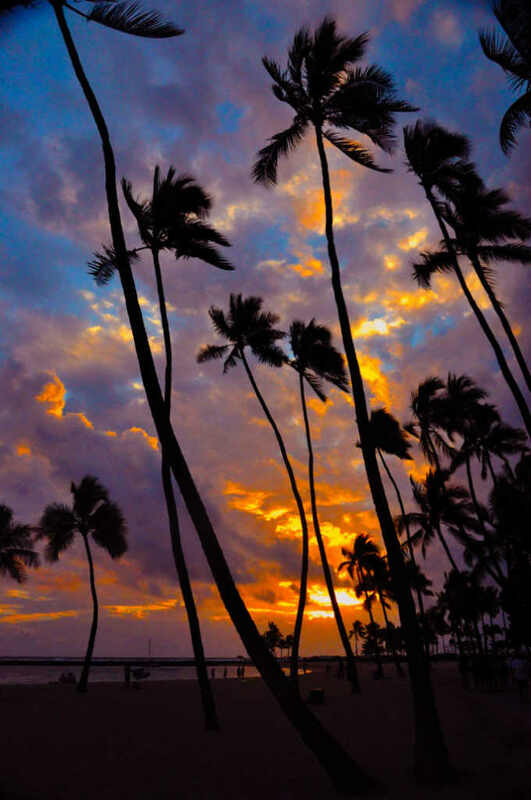 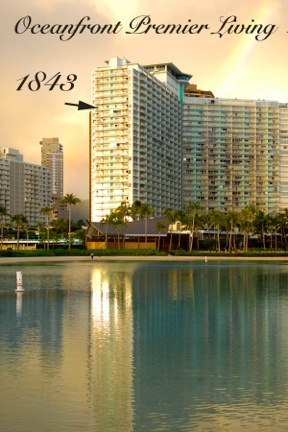 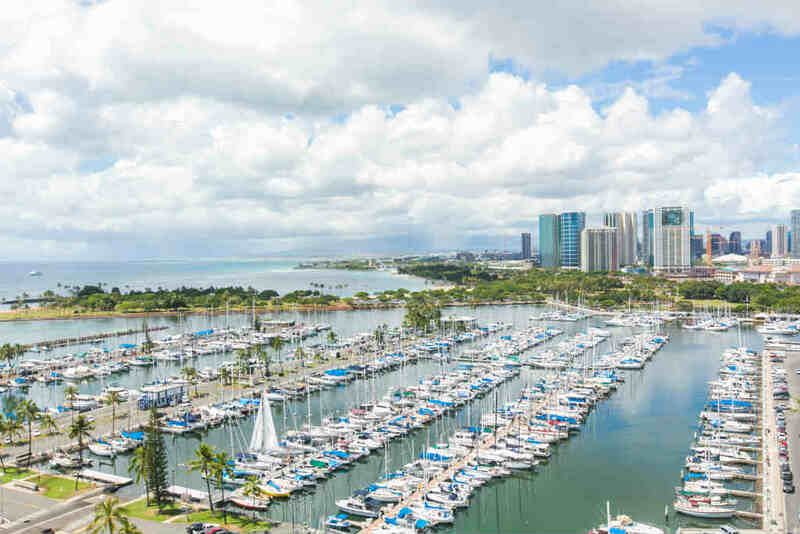 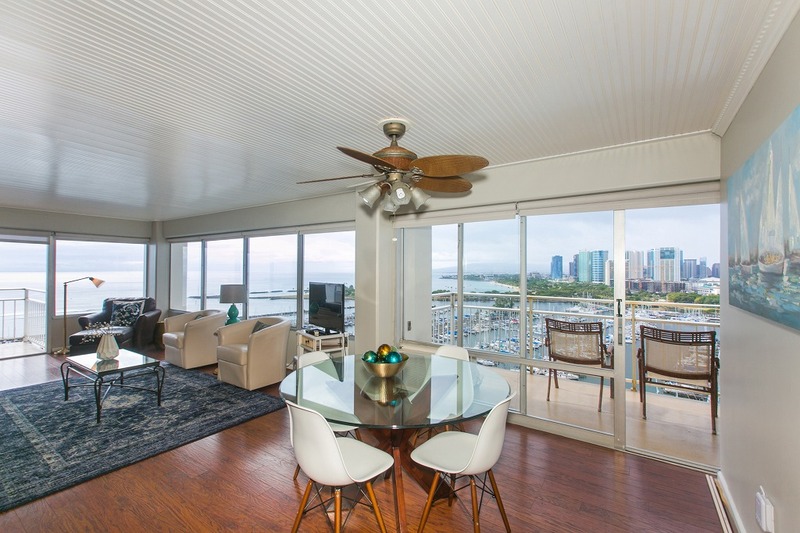 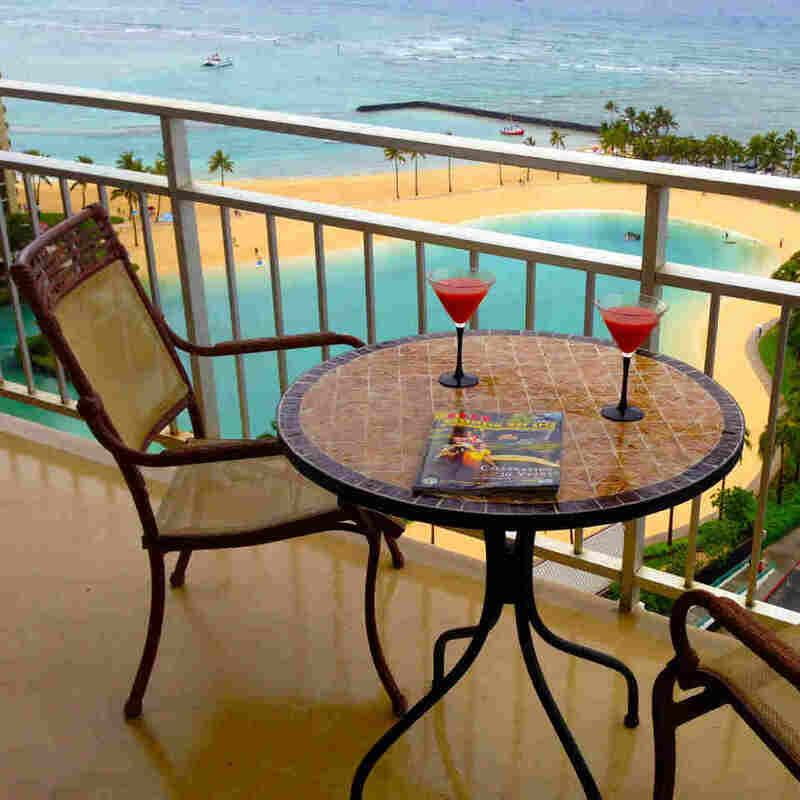 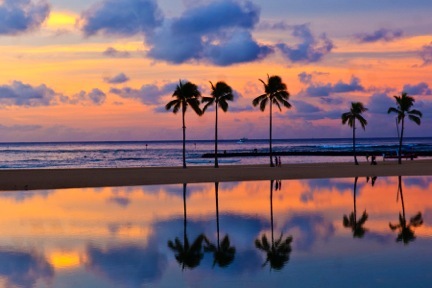 Nothing was spared in making this the best condo available in Waikiki. 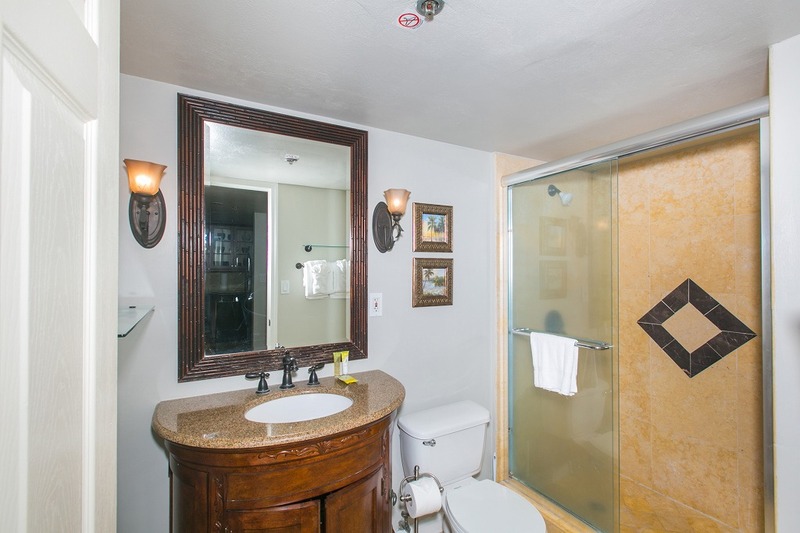 It was professionally remodeled and decorated with your comfort and convenience in mind. 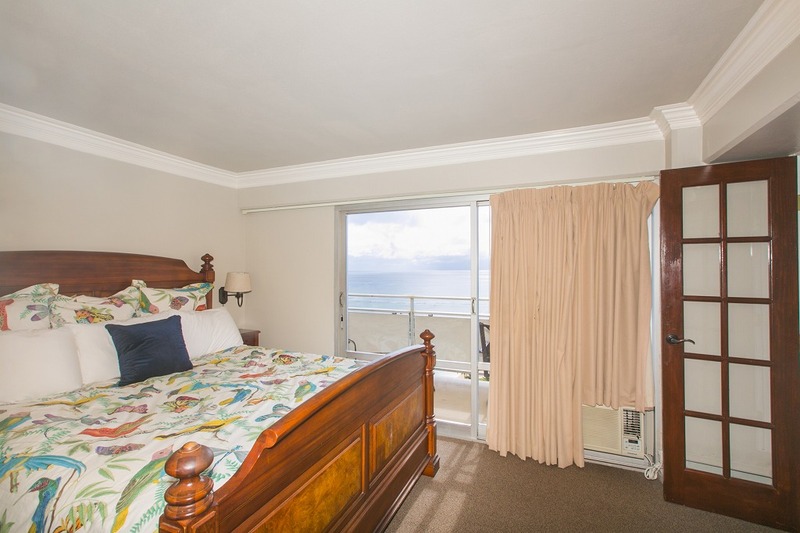 Double French doors lead to both bedrooms, each with televisions and bathrooms. 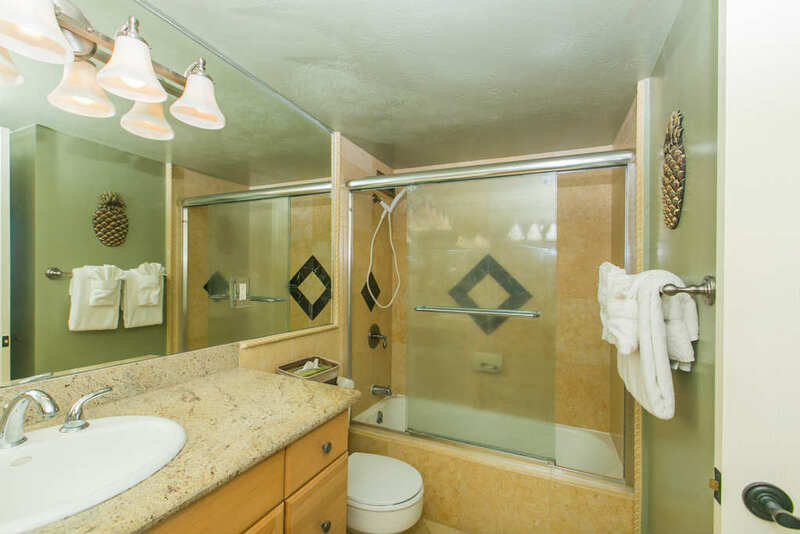 The bathrooms are complete with marble and granite finishes.